Have you ever taken time off of work and returned to find yourself not being as productive as you’d like? Whether it’s for a couple days away to a longer hiatus, leaving work behind and then getting back to work can be challenging to your productivity and systems. 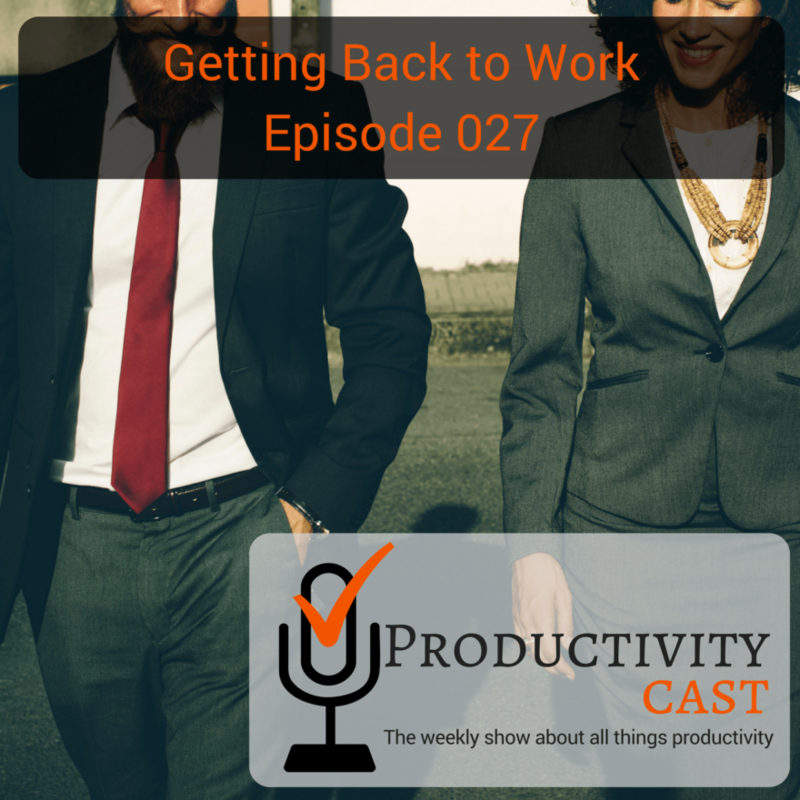 In this episode, the ProductivityCast team discusses how to get back to work effectively.